TopView NYC is participating in NY & Company’s Must-See Week event! Starting on January 29th, 2018, when you purchase one ticket, you get one ticket FREE! It’s the best deal of the year. Tickets go on sale starting January 18, 2018. 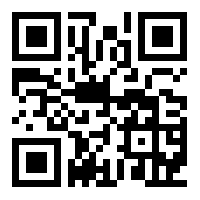 To claim your ticket, simply use coupon code MUSTSEE18 during checkout. You will automatically receive two tickets for the price of one! For first time visitors to NYC, this is the perfect chance to see the city and all its remarkable sights. Our bus tours feature all the most memorable sites in New York. From the Empire State Building to Wall Street, you could see all there is to see with the added convenience of a hop on hop off tour. It may be impossible to do it all in New York City — but trying is the fun part. 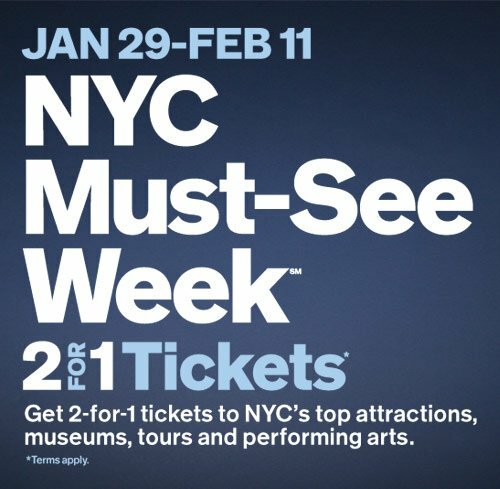 During NYC Must-See WeekSM, enjoy 2-for-1 tickets to many of the iconic experiences right in our backyard, like museums, attractions, tours and performing arts. First-time visitors and lifelong locals agree: there’s never been a better time to conquer your NYC bucket list. *Offers are valid January 29-February 11. Certain terms and conditions may apply. Tickets are subject to availability. NYC Must-See Week is presented by NYC & Company. "NYC Must-See Week" is a service mark of NYC & Company, Inc.